I have some news! Pakistan Eats is one of six finalists for the Best Food Culture Blog category in this year’s Saveur Blog Awards. I was excited when Saveur introduced the category this year, and am so glad that Pakistan Eats made the cut. 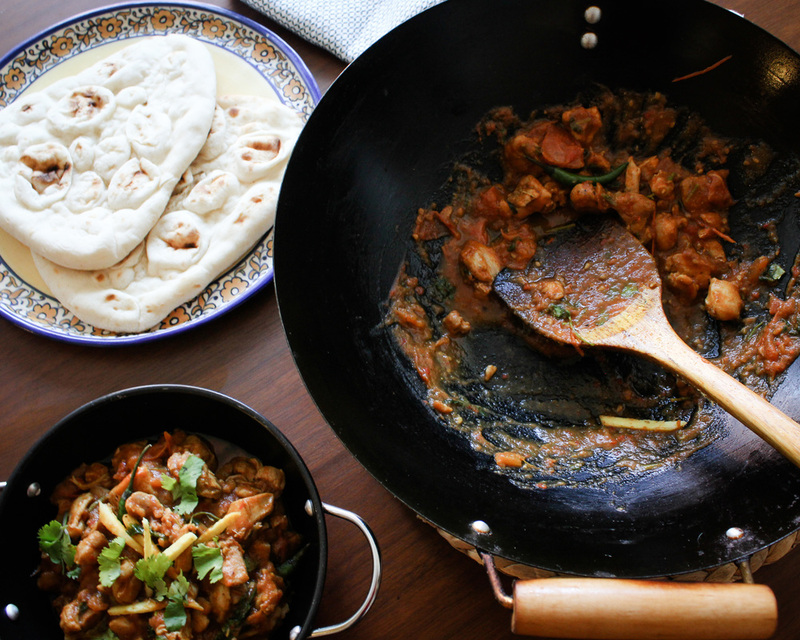 It's important because outside Pakistan itself, the cuisine lives in the shadow of Indian food. Indian food enjoys worldwide cultural prominence while Pakistani restaurants are “generally relegated to humble locations”, as noted by Akbar in this great piece on Pakistani restaurants in the US. There are many fabulous Indian cookbooks, many talented, prominent Indian and Indian-American food writers; and while I take great pleasure in learning about the roots of subcontinental cuisine from them, I can't help but think, "What about Pakistani food?" When I interviewed Izzah of TeaForTurmeric (a Saveur blog finalist for the Most Inspired Weeknights Category!) for a recent NPR article I wrote on Ramadan and wellness, we got into a side conversation about how oddly placed we sometimes felt blogging about Pakistani food. Since launching our blogs, we both couldn’t shake off the sense that Pakistanis didn’t really care about a Pakistani food blog. I guess I could see why. Pakistani food is frequently taken for granted in middle and upper middle class homes where it's relegated to "the help". Yes, it is a central part of our day to day but when it’s not seen as part of "high culture", it’s not considered worth studying. As a result, there is little knowledge about the foodways that comprise our own cuisine. Sometimes I become afraid that we, and myself included, culturally only see Pakistani food in relation to or opposition to Indian food. We have great BBQ! We do beef! But guys, Pakistani food is so much more than the grill. While I had originally started the blog for Pakistanis, it became clear early on there was little interest for the blog in Pakistan itself. Who was I blogging for then? The Pakistani diaspora perhaps, but I would often hear that the recipes were too complicated, too time-consuming. On the blog, I don't abbreviate or adapt recipes to make them easy or fast because the purpose of the blog was never to "entice" people into cooking Pakistani food; rather Pakistan Eats has always meant to be an encapsulation of what Pakistani cuisine in its entirety might look like. In the end, Pakistan Eats is a very personal project. A way to meditate on my own identity as a Pakistani who immigrated to the US and has roots in Eastern Punjab, Rajasthan, Afghanistan and Iran. It's for this reason, I began to incorporate longer, more personal essays into the blog. In the beginning, I wanted to keep my voice and identity out of the blog and just let Pakistan Eats be an extensive archive of diverse Pakistani recipes. But for any real clarity on the topic of Pakistani food, I figured I had to begin to incorporate conversations and my own reflections on the topic of Pakistani food and South and Central Asian foodways. Now all that aside, if you are new to the blog welcome! I thank you for your interest in and curiosity about Pakistani food. It’s an incredible cuisine that will lend you so much insight into the history of South and Central Asia and the unique experiences of a very misunderstood part of the world. It's also delicious. As mentioned earlier, many of the recipes on the blog may look daunting. But once you stock up on key spices and master a couple of basic cooking techniques, these recipes should be a cinch! Inspired by Cardamom and Tea’s (fellow Food Culture Blog finalist!) last post, which is a great introduction to Assyrian food, here are some easy, beginner recipes to get you inspired about Pakistani food. And since the Pakistani food community is so small, I want to draw your attention to some of my favorite writers and bloggers that have been holding up the flag for Pakistani food. Bisma Tirmizi: Bisma is a regular contributor at Dawn where she shares the history and recipes of many traditional Pakistani recipes. Chefling Tales: Like Pakistan Eats, Chefling Tales was born out of a desire to highlight Pakistan's regional cuisines. In addition to having an extensive archive of Pakistani recipes, Chefling Tales does a great job of highlighting restaurants (big and small) serving top-notch traditional food across Pakistan. Flour and Spice: Sarah is a talented and prolific blogger that has done a phenomenal job of developing and testing recipes that Pakistanis overseas routinely crave - think samosas, cake rusks and whipped coffee! Saba Imtiaz: Saba's work on the intersection of food and culture in Pakistan is just great. SpiceSpoon: SpiceSpoon was one of the first Pakistani blogs I began to follow. While Shayma no longer blogs, her aesthetic is gorgeous! Every time I'm feeling uninspired about food photography and styling, I look to her work for inspiration. Sumayya Usmani: I loved her blog, and then her award-winning book, Summers Under the Tamarind Tree even more. The book is a wonderful collection of diverse Pakistani recipes that will warm your soul. Tea for Turmeric: Izzah is an incredibly thoughtful blogger that looks at the intersection of wellness and South Asian food. She does a great job of bringing Pakistani recipes 'to today' - making them easier, healthier, and accessible to an international audience. Lastly, shameless plug for my own work as TASTE's Cook In Residence, where I wrote about Pakistani food and culture last fall. Thank you again for visiting and hope you will stick around! You can vote for Pakistan Eats as the Best Food Culture blog here.